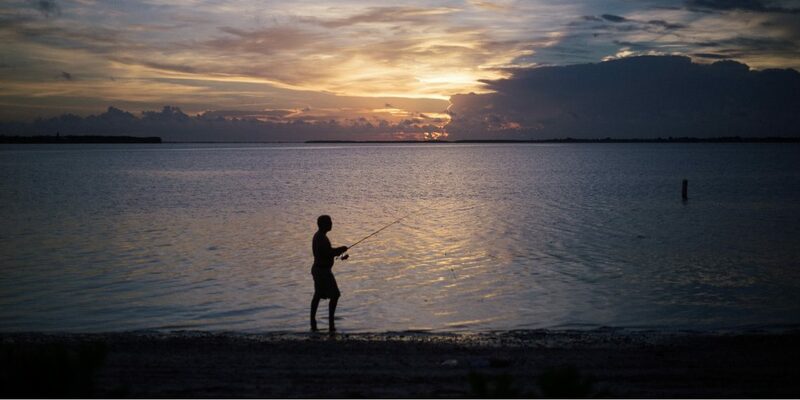 Surf fishing for sharks is an exhilrating and intense subsection of saltwater fishing. Sharks are strong, hit the bait extremely hard, and pull like hell. Plus there’s just something about knowing you have an actual shark on the other end of the line that makes your heart race. Well if you’re looking for the thrill of a lifetime, you’re gonna need the right bait. Sharks are savvy hunters, with extremely acute sense of smell. Unlike lots of other fish that can be caught using lures or artificial bait, if you want to catch sharks, you need chum (good-sized chunks of bait fish). 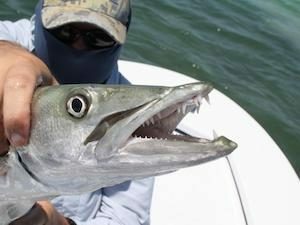 If you can get your hands on barracuda, they are without a doubt, the best bait to surf fish for sharks. Cuda are viscious predators in their own right, know for their ill temperament and blood-thirsty tendencies. In the water, they’re natural competition with sharks, so if a shark smells one in the water, it will hone in on it like a radar. You can either use a whole barracuda, or part it in 2 and use half at a time. 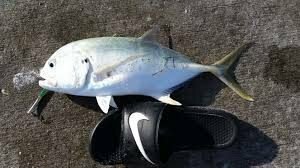 Jack Crevalle fish pull in shark bites in a hurry (especially tiger sharks). They are a plentiful baitfish to find, particularly if you are in along the Gulf Coast. Jacks are actually a pretty fun and feisty fish in and of themselves. Once again, the Jacks can be fished whole or divided and fished with half. Throw one out and watch what happens! Whitings are a common choice for shark casting from the shore. 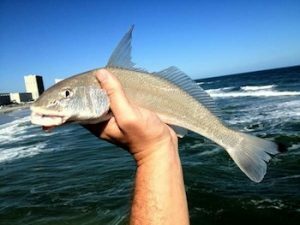 On forums and blogs, there are always lots of pictures and stories from folks that landed sharks using Whiting. Whiting have a distinctive fin profile and unique looking mouth. These fish can be found all over and will do the trick. Stingrays are in the natural food chain of sharks. In fact, many rays are. After catching sharks, some guys have reported actually finding the barbs of Stingrays stuck in the lips of sharks (ouch). 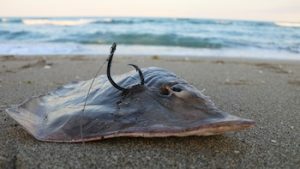 Rays can be found all over the globe, and are an effective baitfish in many surf casting scenarios. Well, there you have it, 4 excellent fish to use as shark bait for surf fishing. Do some experimenting with different bait at different tides and feeding times. When you get it right, there’s nothing else that compares to the experience of hooking and fighting a shark on your line.